THE GATES TO the Phoenix Park will reopen today at 4pm – some 15 hours ahead of schedule and just in time for the evening rush hour. The park had been closed to traffic since Friday evening ahead of the showpiece event of the visit, the mass celebrated by the Pope yesterday. The park wasn’t to reopen to cars and pedestrians again until 7am tomorrow, but the Office of Public Works have announced at 3.10pm that it will open at 4pm. Today’s closure was planned – with the park’s official OPW Twitter account stating that the move was “necessary for the removal of essential infrastructure and the removal and re-installation of road signage and other road modifications for the event”. The actual attendance figure for yesterday’s event had been projected at 500,000 people. Substantially less than that figure eventually attended, though the exact number has not been confirmed. Yesterday’s mass represented the final act of the World Meeting of Families, the Catholic Church event taking place every three years in cities around the globe since 1994. 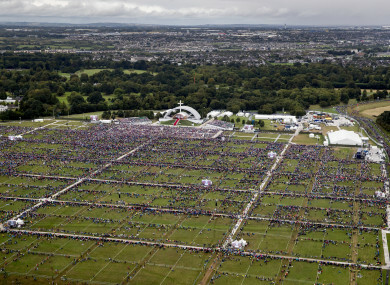 Roughly one million people attended the similar mass given by Pope John Paul II in September 1979. Email “The Phoenix Park reopens at 4pm today - over 15 hours ahead of schedule”. Feedback on “The Phoenix Park reopens at 4pm today - over 15 hours ahead of schedule”.